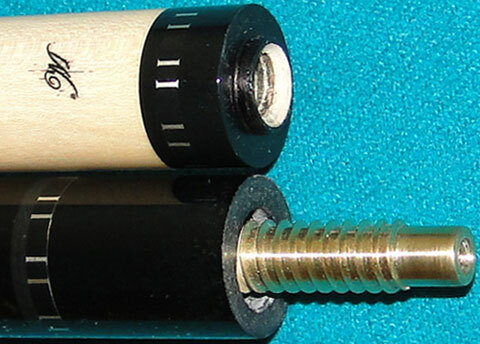 Cues designed and made by Professional custom cue maker Michael Yingling, or Michael Cues in the USA. For more information about cue maker Michael, see below. All Michael cues are custom made one at a time. 100% custom made in the USA. 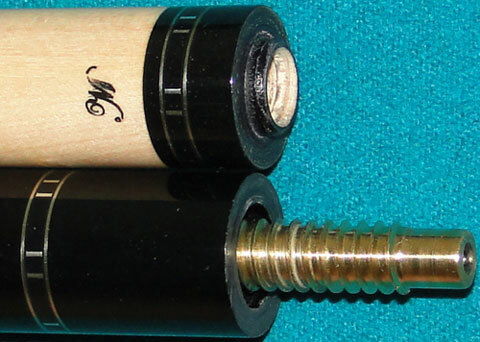 Most of the Michael cues made with the 3/8 x 11 Brass big pin joint, better for playing performance. Buy with confidence: all of our Michael cues are brand new. Michael only custom made these cues Exclusively for J&J in the USA. Bonus: Free J&J cue bag or cue case and Free custom made joint protector for these Michael cues per request, when buy at online price. Please mention *Free cue case offer when place order. Solid high figured cocobolo cue. 4 floating sterling silver stitch rings between silver rings. Shaft: come with one Michael custom made maple shaft with logo, shaft with matching sterling silver stitch ring. Cue tip: Wizard 11 layers leather tip. Solid Gaboon ebony cue. 4 floating sterling silver stitch rings between silver rings. Following Cues made with two shafts ( Michael, OB or Predator ). 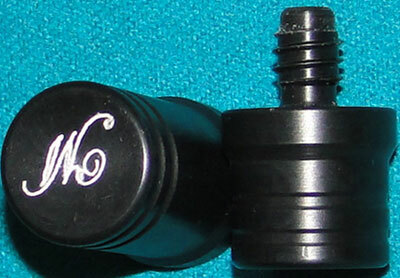 If want cue with one shaft, or other options, email us for the price. Solid figured cocobolo cue. 4 floating sterling silver stitch rings. both shafts with matching sterling silver stitch ring. Solid figured cocobolo cue. 4 floating sterling silver stitch rings between silver rings. Solid Gaboon ebony cue. 4 floating sterling silver stitch rings. Stock & price are subjected to change. Extra discount may be available on some cues. Email us for detail. Please email us for our update special price for any Michael cue. The development of Michael Yingling Custom Cues has been fueled by help and input from some good friends as well as many great pool players who have tried my various creations and given honest opinions and advice. When a love for the game of pool collided with a curiosity of how things work the quest for an even better pool cue was born. Twenty years of working as a mechanic on automobiles and motorcycles provided a foundation in machinery, while a love for woodworking moved me toward the craft of cue building. I started with a few small woodworking tools and machines over ten years ago to do repairs and maintenance. 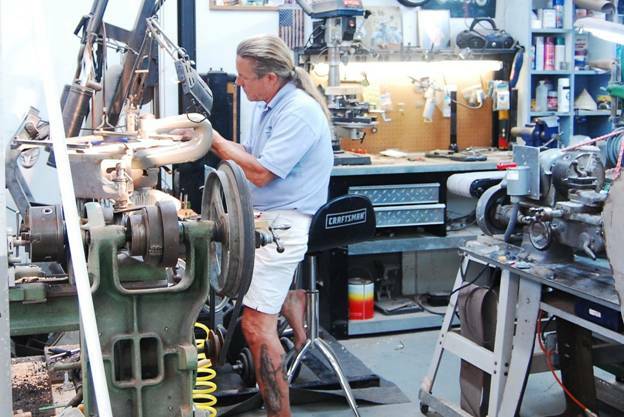 Like many of the great cue makers that have changed the industry forever, passion became an obsession for perfection that fills every corner of my small garage shop here in Seminole Florida. The introduction of Michael Exclusive Custom Cues is the newest line in my hand crafted cues. These cues combine some of the best construction techniques I have developed with outstanding materials for great looking as well as superb playing cues. Every cue contains the critical elements that give a solid, crisp and easy to control hit for every player from entry level to top pros to bring their best game to the table every time they play. All Michael cues are hand crafted by me personally from the very best quality materials as well as some of the most beautiful exotic woods I can find. The function and feel of a cue comes first and foremost to create the perfect hit for each customer I build a cue for. The finish product often is a reflection of the players personality captured in a way that only a hand crafted custom cue can. I have been told that if you truly love what you do it never becomes work. If that is true I have been making pool cues for the better part of ten years without working a single day.